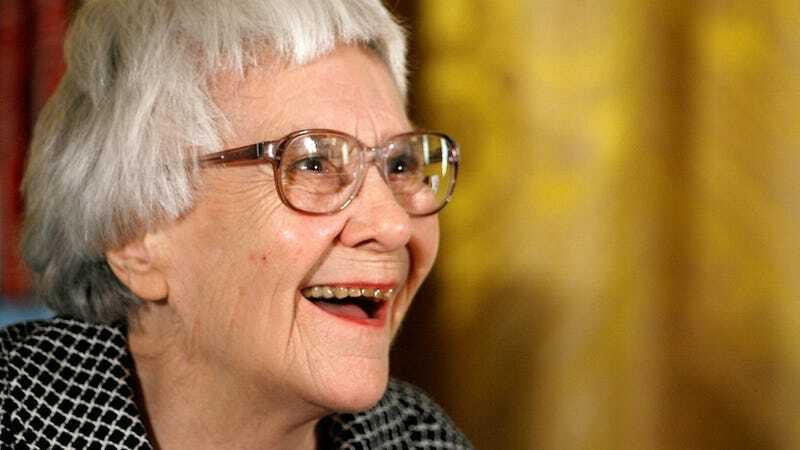 Two and a half months after the death of Harper Lee's sister (and lawyer) and 55 years since the publication of To Kill a Mockingbird, HarperCollins has announced the summer release of Go Set a Watchman, the elusive author's second novel. Though it's effectively a sequel, Ms. Lee actually wrote " Go Set a Watchman" first. The 304-page novel takes place in the same fictional town, Maycomb, Ala., and unfolds as Scout Finch, the feisty child heroine of "To Kill a Mockingbird," returns to visit her father, Atticus. Sadly, this news is not without controversy or complications. Harper Lee's sister Alice Lee, who ferociously protected Harper Lee's estate (and person) from unwanted outside attention as a lawyer and advocate for decades, passed away late last year, leaving the intensely private author (who herself is reportedly in ill health) vulnerable to people who may not have her best interests at heart. Tonja Carter, Harper Lee's attorney since Alice Lee retired at the age of 100, acknowledges that the author—who was left forgetful and nearly blind and deaf after a stroke in 2007—often doesn't understand the contracts that she signs. "Lee has a history of signing whatever's put in front of her, apparently sometimes with Carter's advice," Gawker's Michelle Dean reported last July. "The existence of 'Go Set a Watchman' was unknown until recently, and its discovery is an extraordinary gift," said HarperCollins publisher Jonathan Burnham in a statement. But was the gift willingly given? "After much thought and hesitation I shared it with a handful of people I trust and was pleased to hear that they considered it worthy of publication," Lee said in a statement of her own. "I am humbled and amazed that this will now be published after all these years." That might seem like confirmation of Lee's willing involvement in Go Set a Watchman's publication, except for the fact that we know about Lee's messy relationship with her attorney (who, again, often gets her to sign things that she doesn't understand) and Lee's own publicity-shy character. Lee once told Oprah over (a non-televised) lunch that she hated being compared to To Kill a Mockingbird's spunky protagonist Scout Finch. "I'm really Boo," she said, referring to the reclusive hero whose actions—by the grace of Atticus Finch (and the benevolent Heck Tate)—were allowed to go unpublicized. In the past, Lee affectionately referred to her sister Alice as "Atticus in a skirt." Not just because she was an amazing lawyer, but because she was the protector who shielded Harper Lee from the publishing world and press attention that she was so adamantly repelled by. But now Alice—her Atticus—is gone and an unhealthy and unstable Lee must alone face the publishers, interviewers and literary agents that she's spent her entire life avoiding. Our Boo Radley is being dragged into the light.